Martha and Orrin Ingram discuss the language of philanthropy when meeting with prospects. · Starting the conversation and setting the stage for the invitation. Before diving into this blog, you may want to take a few minutes to brush up on these past blogs, and toolkits. If you’ve not read my blog, The Secrets of Creating Meaningful Bonds, I suggest you take another break and read that blog first, too. I hope it has some helpful thoughts that helps set the stage for the material shared here. In particular, pay attention to the psychology of human connections and the power of meaningful experiences. Ok, its finally time. You’ve engaged your prospect, you know her passion for the project and the organization. Her interests are aligned with the organization’s vision. You’ve prepared your prospective partner, the pre-solicitation conversation has occurred—she’s ready! Remember, giving is joyful! Research proves it. And, donors tell us this all the time! 1. Who’s the asker? Make sure the right person is doing the asking! Usually, that’s the hardest person to say no to. It’s the most influential person. In the best case scenario, it’s someone who has made a lead gift to the project and can speak passionately about it. 2. Who will be on the call? We recommend that you travel in pairs, but no more, and probably no less! For a major ask, I usually prefer a volunteer (by that I mean board or campaign committee member who has supported the project) teamed up with a development officer who can handle technical details and appropriate follow up. Sometimes, it’s the President or CEO (or another institutional leader) and the development officer. It’s helpful to have two people on hand. One for the ask and the other for technical details and follow up. Sometimes, there’s just strength in numbers. There are of course exceptions to this rule, but more often than not, it’s the way to go! 3. What are your roles? Who opens and closes the meeting? Who presents and does the ask? Who answers technical questions or perhaps reviews the proposal? Who makes absolutely certain before you both walk out of that meeting (unless things do not go as planned) that the ask happens? Who reviews the follow up steps at the meeting’s conclusion? 4. What’s the best location? Where’s the best place for this invitation to occur? The location sets the tone and the importance of the ask. Make sure it is free from distraction, is easy and convenient for the prospect. Remember, the setting of the meeting should convey your respect for the prospect. Sometimes, that’s the individual’s home. Other times, it might be the President’s Office. Be careful setting it in the prospect’s office, since many distractions or interruptions can occur there. 5. Who besides the prospect needs to attend the meeting? Make sure the right people are joining the prospect. Leaving out a critical spouse, partner, family member or even advisor can be the kiss of death or delay your results. Consider whether a pre-meeting needs to occur before other family members or advisors are included. But, make sure they are not left out in the cold! Remember, sometimes, it is hard to know who the decision maker is! 6. Create an outline for the conversation: Few meetings are successful without knowing where you’re headed. More on this in Toolkit 7 below. Remember this is a conversation! Don’t do all the talking. Again, listen to your prospect. 7. Practice, practice, practice! Don’t wing it! Both partners should review the meeting outline and practice their talking points together. Experience and research tells us we get better with practice. You’ll smooth out your talking points, remind yourself what’s really important for each call, revisit your roles, and work out any pre-meeting jitters. Don’t skip this step! Sometimes it takes a lot of practice and you’ll develop a rhythm and get better over time. You will thank me for this! 8. Prepare a proposal or other collateral: Bring the right amount but not too much. At this point, the prospect should be well versed on your project. For major asks, I recommend a written proposal is always presented or at least left behind; something in writing that confirms the ask, the impact, the amount to be considered, ways the gift may be made (e.g. pledges, assets, planned gifts, etc.) and naming opportunities, if applicable. It is very helpful for the prospect to have something in writing they can refer to, review with her financial advisor or other family member. And, it’s very helpful for future follow up. For the asker, sometimes the process of writing the proposal, even if very simple, helps clarify and confirm the ask! This keeps everyone on the same page…. Sometimes literally! Okay, now, let’s take a look at one scenario! So, you, Ms. Board Chair, are ready to call on a prospect with the Chief Development Officer to invite (solicit) the prospect and her family to consider participating in the hospital’s care of the community by supporting a new building project. There are many steps that have occurred in advance by the Philanthropy Office, by the prospect and by the Board Chair. 1. Involved the prospect at multiple levels throughout the organization and assessed his/her interest and relationship to the organization. 2. Engaged other family members. 3. Researched the prospect and family’s philanthropy capacity. 4. Vetted the project with the prospect to determine his/her passion for it (alignment). 5. Involved others in institution, appropriate to gift level, in meetings/events, etc. that share project impact. 6. With the Facilities Manager, vetted the project details with the prospect, and shared draft naming opportunities to help guide a discussion about gift range. 7. Prepared a proposal and/or ask that captures prospects shared passion for project, impact and gift levels. 8. Determined the right person to conduct or participate in the ask. She believes deeply in the organization, is passionate about the project and has become a. for it. 2. Met with the Chief Development Officer and Facilities Planner to discuss the plans in greater detail and provided input on the project. 3. Been a past capital donor and a regular annual donor. 4. Been vetted by the development staff as capable of a six figure gift. 5. Been asked if his/her family is willing to receive a proposal in support of the project and naming opportunities have generally been shared. 6. Agreed to consider a proposal and discussed a gift range the family will entertain. 1. Honed her “Signature Language”. What, you say, is “Signature Language”!? Creating your own distinctive signature language is so helpful when meeting with prospects. Refer to the Toolkit below to Create your Signature Language. 2. Done her homework and is well versed in the project and its impact on the community. 3. Met with her partner on this call, the Chief Development Officer, and outlined the meeting and rehearsed their roles. What, you say, a Meeting Outline! What does an example look like?! Go to the Toolkit below, and find an example of the Meeting Outline and its elements! 4. Practiced the magical words of philanthropy and is ready to share these during the Bold Ask. Oh, no, here we go again! What, you say, are the “magical” fundraising words? Refer to the Toolkit below for the Magical Words of Philanthropy. Whew, a lot has happened before the prospect, Board Chair and Chief Development Officer ever set foot in the meeting! No wonder it is easy, even comfortable to boldly and authentically invite your prospect to participate in this important project. In fact, it would be disrespectful not to include her and her family in helping to assure that the best care possible is available in their community. So, let’s see how this invitation (solicitation) might go. Board Chair (Martha): “Mary (Prospect), thank you for the opportunity to get together today. All of us at the hospital, from the nurses and doctors to Sam (CEO) and I are grateful for your long support. I’ve appreciated the time you and Joe (prospect’s husband) have spent with us talking about the impact this new hospital wing will have on the surgical care of our patients. I’m grateful that we share the same vision for this project and the hospital. Chief Development Officer: “Mary, Sam and the facilities personnel and I have put together a proposal that confirms the project details and its impact. We’ve reviewed some of this in the past, but we want to bring you up to date as the project has evolved. Chief Development Officer: “I will let Sam (CEO) know about our conversation. I know he is eager to speak with you. Please feel free to reach out to him. In the meantime, is there a good time for me to follow up with you to go over any questions or to finalize your plans? The prospective partner has agreed to think carefully about a gift with her husband and indicated that she is interested in speaking with the CEO before they finalize their gift. Having the right follow up in place after the ask, can be just as critical as what occurred in the meeting. In this case, a proactive call from the CEO is in order followed by a note from the CDO and Board Chair. Proactively thanking Mary and answering questions is powerful. It reinforces the importance of the meeting, demonstrates respect for the prospect and urgency for the project. It also reinforces the partnership between the Board Chair, the CDO and the CEO. Don’t let this step linger. The finishing touch is a call, within the established timeframe, by the CDO to finalize the discussion during the meeting and with the CEO and provide the gift and naming agreement. Your “signature language” comprises your value statements about the organization. Like your digital signature, it is unique to you. It is deeply personal. It combines passion and authenticity. It captures your stories. Signature language is important for the executive leaders and staff, but it is an especially helpful tool for Board members. Your signature language is the basis for your “messaging”, how you talk about the organization and its people. It gives you a consistent message to fall back on. It also reminds you the what and the why in your own journey! Start by answering these four questions. Take some time and write down your answers. 1. Why do you believe in the organization/institution? 3. What do you value most about it? 4. What have you chosen to support it? Now, write a brief story about how the organization is changing lives. Do you have one or two stories you can tell? Data is important, but stories are personal and powerful. The most important thing you can do as a bold asker is to share your passion and belief in the organization! Remember, a lot has already occurred in the cultivation and pre-solicitation phase before getting to the Bold Ask! 1. Express gratitude and re-establish rapport. Always begin by thanking past gifts and commitment to the organization. But, don’t belabor it! 2. Provide your own testimony. Remind the prospect why you are here. 3. Share the project’s impact. 5. Share influence. Have you or others made lead or pace setting gifts? The magical words of philanthropy are actually quite simple, but very powerful. Practice these! Try them out on yourself and see how they make you feel! When you believe in an organization and have made your own meaningful commitment, inviting others to consider participating with you is actually quite simple! I want to leave you with this final thought: Until you’ve walked the path of your own meaningful commitment, it is impossible to ask others to consider participating with you. The start of your own successful Bold Asking® journey begins with you! Stay tuned for our final blog in the series: Saying Thank you, Abundantly! 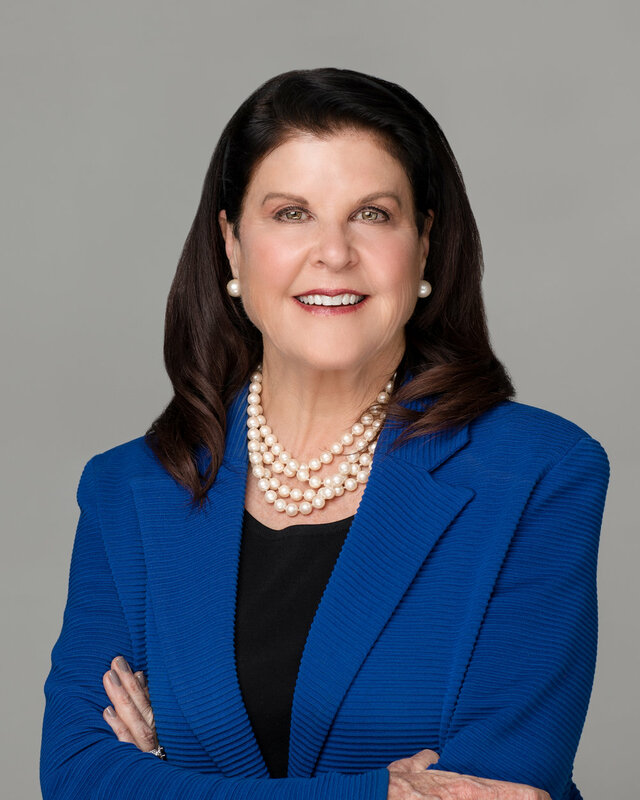 About the author: Susan Holt is the founder and president of Vision Philanthropy Group, a full-service philanthropy and fundraising communications consulting firm specializing in health care, biomedical sciences and education philanthropy. Susan has partnered with others in creating gifts ranging from $1M to $250M and has been the architect of multi-million and billion+ campaigns. VPG is based in Nashville, TN. Copyright ©2019 Vision Philanthropy Group. All rights reserved.